The view from Frankford Avenue, facing northwest towards Emerald Street. The City of Philadelphia released an update on its response to the city’s opioid epidemic Thursday, including a plan to clear drug encampments at Frankford Avenue and Emerald Street in Kensington. 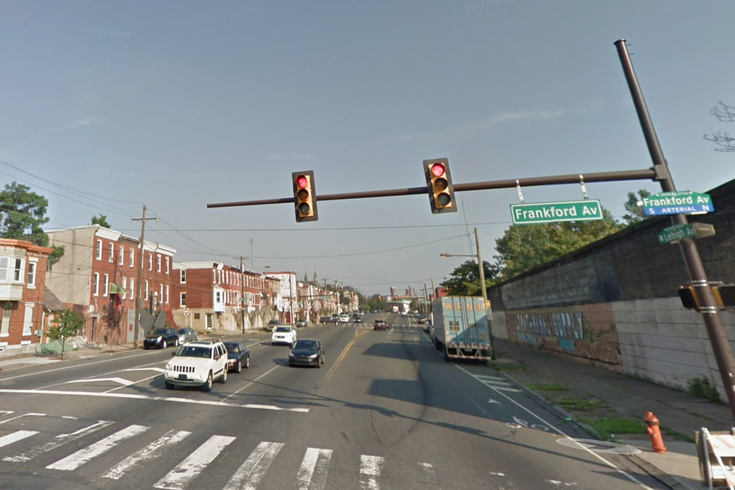 The plan aims to have the Frankford Avenue encampment cleared out by Nov. 15, and hopes to “begin outreach to clear” the Emerald Street encampment by Jan. 15. It also aims to have 100 percent of individuals moved from Frankford Avenue into a “navigation center” led by the Office of Homeless Services, and then to solidify housing plans for those individuals, within 30 days. "I’m confident that this effort will allow us to come together, try new approaches, and demonstrate that resilience to improve these communities -- and save lives," Mayor Jim Kenney said in a statement. Other plans for the next month include increasing safety for children using foot and bike patrols in the areas; place needle drop boxes at McPherson Square and certain SEPTA stations; and deploying a mobile outreach team to provide Medication-Assisted Treatment. You can read the full plan, called the “Philadelphia Resilience Project,” by clicking here. "I am pleased that the Administration, City Council and the community groups are working together address the opioid crisis plaguing our City," Councilman Mark Squilla said in a statement. "We need this collaborative, multi-agency approach to attack this issue on a daily basis and cannot stop until it is under control." In early October, Kenney signed an executive order calling the city’s opioid crisis a “disaster” and ordering the creation of an emergency response group. In the executive order, Kenney and the city estimated that nearly 150 people are currently camped on Frankford Avenue and Emerald Street. The mayor established an Opioid Task Force in November 2016. This is the second time in 2018 the city has targeted specific encampments for clearing. In May, the city announced a pilot program targeting Kensington Avenue and Tulip Street encampments had resulted in more people entering treatment in two weeks than in the prior six months. According to the city, the number of people living unsheltered in Philadelphia reached 1,400 in 2018, with 700 in the Kensington and Fairhill neighborhoods. In 2017, 1,200 Philadelphians died from drug overdoses.